CBD Yums is the only U.K. company specialising in CBD edibles. The delicious treats are infused with full spectrum CBD Oil, however the hemp flavour is a mere background note, as the fruity gummies or luxurious chocolate, dances on your taste buds, giving your ECS a much needed boost. There’s also a variety of Hemp Herbal Teas to choose from. That’s not all, CBD Yums offers an amazing CBD and Essential Oil Spa and Skincare Range, all at affordable prices. CBD Yums offers some of the UK’s lowest price CBD Oil Droplets and CBD Black Seed Oil Products. Plus there Hemp flavoured CBD Vapes, Hemp Terpene Candles and much, much more. Go On Treat Yourself. 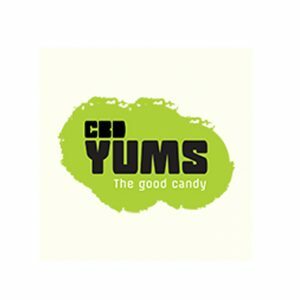 CBD Yums has married true soulmates Hemp and Chocolate and can now offer custom flavours at no extra price Chilli, Cappuccino or Salted Caramel? Your wish is our command. CBD Yums Gummies contain Gelatine, however all our other edibles are suitable for a Vegan Diet. The UK recommended maximum dose is 200mg a day. What’s the difference between a CBD Oil and CBD Edibles? CBD Oil is taken in droplets under the tongue making it enter the body quickly and arguably more efficiently than eating an edible, however CBD Yums are designed to melt in the mouth, so there’s little difference – apart from edible taste great and you are less likely to skip your regular dosage, plus it’s easier to take small or more flexible amounts of CBD, discrete packaging and no leaky bottles!